I am from the hinkle family. My aunt says our grandfather says our ancestors built the church’s. I would love to find out more information or even come visit. Join our association and attend our 2019 reunion in Frederick, MD, over Father’s Day weekend to learn about two of our seven branches of our Henckel, Henkel, Hinkle, etc., family history in churches, medicine, patriotic service, and other things. Rev. Gary Boston, association president. p.s. I am an associate member of the Evangelical Lutheran Church in Frederick MD. We have a planned visit and historical presentation as part of our Saturday events. Hope to see you there. Woodstock is where my wife passed away on 12/14/2002. As you know, it is not far from New Market, Rev. Gary Boston, association president. my line was Paul’s youngest brother, buried at St. Michael’s church, Bridgewater, VA, where he was founding pastor. Do you have pictures of the monument you’re speaking of? I have pictures on my phone, but I have very limited data. I also may have some on my laptop, if I do, I will email them to you. The front has Rev. AJH and the rear has the seven surviving children and Valentine Geiger. Anthony Henckel is my 8th great grandfather and his daughter Johanna married my 7th great grandfather Valentine Geiger, both of them pillars of the community and church. The coolest part is that I work for the Evangelical Lutheran Church in American of which New Hanover Evangelical Lutheran Church is a member congregation! If you are not already a member, join and learn about one of the Geigers going with George R. Henkel to Frederick county, MD German settlement about 1736. Our 2019 reunion (always held over Father’s Day weekend) in Frederick and Frederick County, MD. Hi Nick, Did you attend our 2017, 300th year celebration reunion at New Hanover Lutheran Church? We installed a memorial monument to Rev. A.J. Henckel and family this year (2018) in the cemetery behind the main sanctuary. Anthony Henckel is my 8th great grandfather! My family extends from Henckel -> Stoehr (Starr) -> Little -> Barneycastle -> Taylor -> Cornatzer -> Holmes. Funny enough, Anthony Henckel settled near Philadelphia but my family over time extended down to Davie County, NC for a few generations. Then my grandmother married a guy from NJ and my family’s now back in the Philadelphia region after all! Krista, You may have attended our Rev. AJ Henckel 300th year celebration reunion in 2017 at New Hanover Lutheran Church, Gilbertsville, PA. If not already a member, join with our low $25.00 / year membership and come to our 2019 reunion in Frederick, MD over Father’s Day weekend. Hi Leslie! I just came across this Jenkins family recently and am super intrigued. I’ve started researching trying to find a connection to “our” Henckels. The Jenkins name was indeed Henckel and was changed. I’m not sure why. There is a blog I found with lots of information (it’s a little confusing) . It’s called Doug’s Genealogy and it’s in Blogspot. The family started in Treysa, Germany and ended up in P.E.I. Happy hunting!! Rev. Anthony Jacob Henckel is my 8th great grandfather. I am so amazed and blessed to discover more of his life and amazing contribution he made to earliest formations of American religious life. Blessed! Rick, I grew up with and was very close friends with a family of Curry’s in Waynesboro, VA. The family originally was from around Buckhannon, PA.
Buckannon is in West Virginia. My Dad was from there and is related to the Henkel family. His name was Post. The Henkel were on his Mother’s side. Rick, I also have discovered upon doing some research into my family’s history that Rev. Anthony is my 8th Great Grandfather. Personally, I am down the lineage of John Justus (7th G. Grandfather), Jacob & Mary (6th G. Grandparents), Paul B. & Elizabeth (5th G. Grandparents), Ambrose (4th G.G. ), Paul Philip (3rd G. G.), John Solomon DeWitt (2nd G.G. ), which leads me to his daughter Edith Priscilla & Charles Lester Higgs, my Great Grandparents. Amazing how a TON of local history I always knew “of”, having grown up in the Shendandoah Valley and taking day trips across to WV, etc., had such a major impact in my family’s history as well as the area I call home. I am anxious to see what I continue to find as this is obviously just the lineage of but 1 grandmother. You ought to come to the Winchester Reunion, you will add to your knowledge on the Henckel family. You are a Branch V Henckel. My 3rd great grandmother was Elizabeth Hinkle born Sept. 15, 1786 in Rowan Co. N.C. died around 1850 in Oak Ridge, Mo. married to Jacob Clodfelter. I am descended from her son, George. I would appreciate it if anyone could tell me who her parents were. Thank you. I just checked the Henckel Genealogy under Branch V (which indicate by Elizabeth birth in Rowan County, NC). I checked Jacob Clodfelter as her husband and George Clodfelter her son. I found neither in the Henckel Genealogy. There were quite a few Elizabeth Hinkle’s in Branch V. I would have to have checked each, which I did not have time to do. Jacob or George and Jacob could have shown up as son and husband under one of them, but would have shown up under them name, too. Hopefully, one of our qualified genealogy experts can help you more than I could. Thank you for checking. Can’t seem to find this Elizabeth Hinkle on the internet anywhere, except for findagrave, which doesn’t list her parents. d. August 20, 1829 Lexington, Davidson ,North Carolina . She’s buried at Bethany UCC Cemetery in Davidson NC. This line is not difficult to follow. This is not my line but less than 15 minutes and I found a wealth of information. I’m not sure when he changed the spelling of his name however this should get you unstuck. I have no more information because this is not my line. A NC marriage record shows Jacob Clodfelter married Elizabeth Hinkle on Sept. 29, 1804. A witness is Peter Hinkle. I did not verify this info., but it’s a start. Look up Casper Hinkle and see what you find. I have a family Bible for the William Lawson (9-5-1845 / 10-26-1937) and Thursa M. Bush Henkle family of Washington Court House, Ohio (Henckel branch five). I would like very much to be able to pass the Bible to a more direct family member. William’s parents are Ephraim and Susan Carr Henkle. Some of the children of William and Thursa listed in the Bible are: Miles Nelson, Mary Ellen, Effie Oneta, Will Lesley, Carey Ephraim. Please contact me if you are interested. Ephraim and Susan are my great grandparents thru William’s brother Noan Henkle. Wow!! So much helpful info here. Thank you Richard for such a treasure!! I am an eight times great granddaughter of Rev. Anthony. My line goes through his son Johann Justus to Jacob to Moses to Rev. Jesse Henkle to his son Rezin Fletcher Henkle and then his daughter Clarissa Corrinne Henkle. Clarissa married Charles Ferdinand Stockler. Their son Frank Stockler married Alzada Everitt (a Mayflower descendant through Edward Doty). Their daughter Margaret Corrinne married Emerson Staup and their daughter (the tenth of their 12 children) is my mother. (My father is a direct descendent of Pocahontas). Rezin’s wife was Emelia Arabella Sampson who was a Mayflower descendant by way of the Standish, Alden, Mullins and Samson passengers. Through that Doty line by way of my great grandma Alzada I found that Mary Doty (4x great grandmother) married Nathan Everitt. Mary’s brother Nathaniel then married Nathan’s sister Abigail. And Mary and Nathan’s daughter Lexcina Everitt married Robert Shurtleff Faunce. Robert’s two times great aunt Sarah Faunce married Edward Doty II providing yet another tie to the Mayflower passengers. (Robert’s three times great grandparents were John Faunce and Patience Morton). Recently I have hit a snag and need help if you are able……I came across conflicting info online that shows Simon Dentzer II as the father of Nicholas and Othmar. Nicholas Dentzer’s daughter Maria Dentzer married Anthony Henkle who was the son of Anna Eulalia Dentzer and her husband Herr Georg Henkle. Anna’s father is listed as Othmar Dentzer listed above as Nicholas’ brother. But the dates I have found (and there are several) don’t make that possible. The birth year for Othmar is 40 years before his “brother”. In your extensive Henkle research have you happened to come across any of this? I will send you my information on Dentzer family to your email address. I do not do genealogy work but have book and notes from recent reunion on them. You should join our Henckel Family Association, you will meet many of your cousins who know their family trees much better than I do. This site holds more than i’ve find on any ancestory sites. Thanks, we hope it will stimulate more Hinkle, Henkel, Henkle, Henckel to join our “Association”. It is a great place to learn more about your family’s history and meet cousins that you have never met, have not seen for a long time. I have a picture of Abraham Henckel’s house in Pendelton County West Virginia, by West Virginia historical society. Does anybody need that? I am a descendant of John Justus “Jost” Hinckel (my 6X Great-Grandfather) and Mary Eschmann. Going back to me from there: Abraham Henckle and Mary Catherine Teter, then Samuel Shook and Suzanna Hinkle, then Jonas Shook and Polly Ann Land, then James Grant (an Irish immigrant) and Maria Shook, then Leonard Cutler Doran and Mina Ellen Grant, then Martin Francis Haley and Mary Leota Haley, then my mother Mary Patricia (Haley) Welteroth, then me: Carol (Welteroth) Tingle. Very glad to find this website just by accident! Mary, yes there is however I am not sure what it is. MATTHEW is not intended line and I’ve just spent several hours looking for Matthew so, I’ll have to leave that up to you right now. If you can’t find the website let know. Mary, there is very little if any in the Henckel Genealogy or in any other sources that I have read. Of course, Valentine Geiger, the husband of Frederica Henckel and their son came with the Henckel family. Hopefully, one of our other member might help you. Re:Matthew Reason/Rezin Henckle….I read a comment that Matthew was not listed as being hit by a train on Wikipedia List of Train Accidents 1900-1929. I believe it would be more than helpful to list where the information listed is obtained. Where can I go to see the descendants of this tree? My Great Grandfather was Mathew Reason Henkle & he Married Elizabeth Catherine Perry around 1883- I think ?? For any additional info for Mathew Reason Henkle (died Chicago, IL 1906-ran over by a train) I am at a standstill for his ancestors-please email if you find anything-He may have been born in Ohio 1847-1865. I just checked The Henckel Genealogy and could not find Mathew Reason Henkle under any of our Branches, then check his wife Elizabeth Catherine Perry, same results. I can not find Mathew Reason Henkle under any spelling of Henkle, Hinkle, Henkel in our family’s Genealogy book. Sorry. B. about 1856 Ohio Spouse: Elizabeth Perry B.1866 Chicago, Cook, Illinois, m. 30 Sept.1886 Chicago Illinois….marriage record. Just wanted to post a quick update on Mathew. Sandi and I are DNA matches and spent much time sorting it all out. Through the help of a woman in my hometown in Ohio who works for the Museum and the Historical Society I was able to find Mathew. I have a copy of the information from the family Bible listing his birth. Mathew (we believe) was to be called Jacob but before the birth was recorded they decided on Mathew Robison. His birth and death are recorded along with those of his siblings. Mathew was a son of my 3x great grandparents Rezin Fletcher Henkel and his wife Emily Arabella Sampson. I am happy to share the page with anyone who would like it. Sidenote- I haven’t joined yet but plan to in the next month and am SUPER excited about the 2019 reunion because I live in Frederick!!! So attending will be a definite for me! Sometimes my fingers are just tired or the phone changes things. Glad you knew exactly what the reference was even though the words were jumbled. (His youngest child, Donald Leland Henkle is my Grandfather) I am not sure that his name at Birth was Hinkle & not Henkle-there was some discussion in the family about that. Mathew was born Possibly 1855… or?? He said on one census that his Dad was born in Penn & his Mom in New York & he in Ohio. Seems from what I have been reading the DAR discounts the Bible with the names of the men that served at Hinkles Fort and states that this is no longer allowed to be used for evidence that John Justus Hinckle was a patriot in the American Revolution. Just sayin. I have heard same from several Association members, they are working with the DAR to get this rectified. I just saw several request and accepted Hinkle/Henckel acceptances on the site I was on if you want the web address I have it. Brenda, would you please provide the web link you referenced regarding acceptance by DAR of John Justus Henckel Sr? Does anyone have more information about the three Revolution battles at Hinkle Fort that historian referenced at previous family reunion? I have searched unsuccessfully. Is anyone still working on reinstatement of Jost Henckel Sr.? It is just a matter of principle. I have not heard back from person that was researching our connection to Martin Luther after I asked if he would please document his sources. For some reason I could not answer you under your recent request on this question. I would like to his his or your documentation. You could post and ask for critique. To the Martin Luther connection this is the first time I have heard of this connection that’s why I am curious of that connection. I received the message just fine on the Henckle/Hinckle site. The Bible listing all the Patriots that were at Hinkle farm is on line. If you go to that may be you’ll find what you’re looking for as I just took a cursory look at your questions. Yost quartered troops their, allowed them to drill in the empty fields supplied horses and rations to Washington’s troops. Hope that helps. If he was in the troops of Yost Hinkle his name will be in the meticulously handwritten soldiers as part of this frontier fort. Can you give us a little more info on how to find info on-line. What did you put in your browser to find information? I noticed in a posting above there were doubts about Abraham Hinkle (born 1749 died 1815), son of John Justus Henckle, Sr & Grandson of Anthony Jacob Henckle, and his connection to the Revolutionary War. It was his father John Justus Henckle who built Hinkle’s Fort in Germany Valley, VA along with help from the son Abraham and his brothers. The brothers seem to have a clear way into the DAR, but not Abraham, even though I have read where Abraham is also a “supplier of horses” to the Revolutionary War effort. As a direct decendent of Abraham Hinkle and one who would be interested in the DAR, it would be good to clear up this discrepancy. Thank you for your response. John Justus, Sr. status in the DAR has been pulled. We have people who understand the processes of getting him re-instated working on it. You may have to wait on Abraham, especially since his father is currently no recognized by the DAR. Scroll down a few post and you can read about John Justus, Sr. status. I am so close. HELP if you CAN…. I have so much documented proof of Jacob to father Jacob to Lancaster (Radnor and W. Chester) PA then MD then NC in land ownership. I have them on same deeds and both moving from Lancaster area to Lincoln NC but nothing stating father to son relationship. I bet their are Hinkel’s out there that are in this direct line and would like to be in the DAR. I can help. I have all of Ancestry’s stuff I think almost all already anyway. There is no Henckel History at the New Hanover Lutheran Church, except they mistakenly call him the first Pastor there he was actually the Second. 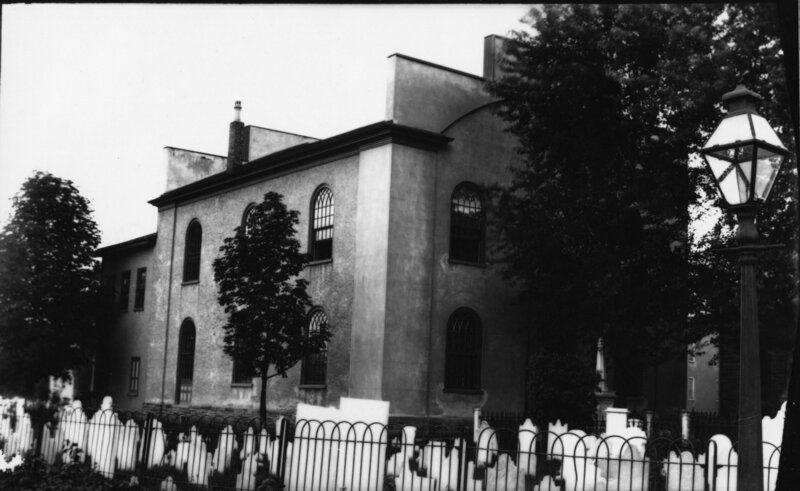 The church has no journals on their church until 1742, when Muhlenberg became their Pastor. Journals were kept form that time on. Anthony Jacob’s Journal during that time was supposedly kept but no one has seen anything of it for years. The church does not have a copy. I just wrote you an email, telling you how to get this information because the lady I told you about and I researched the same missing information in the last few years and finally found the answer. SHE HAS THE DOCUMENTATION YOU ARE lOOKING FOR BECAUSE HER HUSBAND IS FROM THE SAME FAMILY LINE. Please do not continue to post the same question over and over again, it take up space which I have to pay for. HENCKEL, HENKEL, HINKLE Patriots in the DAR. I have updated the HINKLE Patriots info. that is listed on the DAR (Daughters of the American Revolution) web site, on my blog as of 2/28/2017. The DAR uses the HINKLE surname spelling only. More info. is given about the “Spelling of Surnames” also on the blog. Check to see if your HINKLE is a Patriot recognized by the DAR!! I have also included the DAR notes as to why the Patriot has been coded red. Hope to see you at the Reunion in June!!! Suzan, thanks for posting all the information on the Hinkle’s that are currently recognized by the DAR. I can not believe John Justus has been disqualified. Please see Greg Adamson and myself at the Reunion in June and we will figure out how tho get my 6th Great Grandfather back in good graces with the DAR. Carolyn, no doubt you are kin to our Henckel with your Rowan County Connection in the mid 1700’s forward. I would suggest that you go to our Publications TAB and purchase a The Henckel Genealogy. With all the information you have you will be able to trace your families history back to the Rev. Anthony Jacob Henckel(1668 – 1728) who brought his family to America in 1717. We have an annual Henckel Family Association Reunion and this year we are celebrating our families 300th Year in America in New Hanover, PA. Please join our family Association and you wll receive information on our Reunions. Under Membership Tab. Thanks for your e-mail, it is alwas great hearing from a close cousin, my Henckel family also came through Rowan County, my 4th Great Grandfather the Rev. Paul Henkel was born there in 1754. Our family first settled there in 1750, some left around 1760 for West VA at that time, Virginia, NC; others stay in NC. Hello, I am related from A.J. through son Georg Rudolphus, John Balthasar, Anna Margreth (Hinkle) Rine, William Rine, Rudolph Rine, Isabell (Rine) Totten, Clay Totten, Harold Totten, and myself, Lonnie Totten. Saw some references that say one of our ancestors, Louisa (Wagner) Dentzer ca,1610-1676 was gggdaughter of Martin Luther the Reformer. Anyone confirm that? Different sites say different things. Our branch came to Ohio about 1815. “Hinkle” was used as first name for a couple more generations. Thanks for any help. I have read the same thing recently, but have not tried to figure out if it is true or not. Maybe one of our readers has done some research. this information came from. Same on Johann Henckel, who I have done extensive research on, but have never found a direct tie to our Heckel line. I truly hope that she can provide both, so that we can document it for future generations of our family. My email address is under the TAB contacts. I have no had a response from the person who is looking for information on our family’s connection to Martin Luther. We know that Maria Elizabeth Dentzer mother was a Wagner and that is about it so far that is documented. Please keep up the research and keep us posted on any documentable tie you find back to Martin Luther. Thus, the known Wagner-to-Henckel line runs as follows: Emmerich Wagner (a butcher, born around 1550 – died 1635), Ludwig Wagner (Lutheran pastor, b. around 1572 – d. around 1633), Elisabetha Louisa Wagner Dentzer ( 2 Feb 1610 – 24 Oct 1676), Anna Eulalia Dentzer Henckel (Apr 1630 – 11 Mar 1700), Anthony Jacob Henckel (27 Oct 1668 – 12 Aug 1728). Also, with all respect to Rev. John Fiene, I sincerely doubt that there is a link between the Henckel von Donnersmarck family and our Henckel line. There is an extensive family tree for the Donnersmarck line at http://www.genealogy.euweb.cz/austria/henckel1.html. From the late 1300’s to the mid 1600’s, that family was concentrated in Hungary, Austria, and Czechoslovakia–hundreds of miles from Hesse, Germany. One of their descendants did go to Frankfurt am Oder and was married there in 1597, but that town is located on the border between (East) Germany and Poland–again, hundreds of miles from Hesse. The Johannes Henckel who was chaplain/confessor for Queen Maria Habsburg of Hungary, corresponded with Erasmus of Rotterdam, and possibly with Martin Luther and Philipp Melancthon, but there is little evidence that Johannes turned away from the Catholic faith. It seems that he may have been sympathetic towards Luther and his followers, but we can’t assume more than that. Assuming that he remained a Catholic priest until his death in 1539, he would not have married, let alone had children. I hope the information helps, and would welcome any feedback. I agree with you on Martin Luther, I have been on several “wild goose chases”, most recently with the Lutheriden Society in Germany. I wasted a lot of time working on their theory, but when I asked them for Emmerich’s birth certificates and or christening documents they had nothing. Supposedly, Anna Margaret a Luther (1534-1570) was Emmerich Wagner’s (1550 – 1601) mother and Claes Wagner (1520 – 1555) was his father. I also have been the Johannes Henckel trail to the Vonn Donnersmarck’s, too. I also agree with your conclusions here, too. Thank you so much for the answer. That settles it for me too. So much for my “famous” relative. But I guess they are all famous to us anyway. Thanks again. Mr. Lonnie Totten from Ohio. I m new to finding my Henckel’s in my lineage YEA I found you…. Who has these sources as Documents on paper not just a reference… I believe this came from the bulletins. I am researching my 2nd great grandmother, Elmira (Ella/Ellie) Hinkle. She was born in 1843 in Philadelphia. She died in 1896 in philly. She married Jacob summer (1831-1916). They are the parents of my great grandmother, Sarah sommer who married Constantine McLaughlin all in philly. Elmira was the daughter of George w. Hinkle. She possibly had 2 brothers, Charles and George jr. (1860 census). No mother in this census, George sr was an innkeeper, probably widowed. I found George w. In Atlantic city in 1880 census with a very young wife and more children. Perhaps a second family. Cameron and Addie were the kids. But I can’t be sure it is the same George (same approx birth year 1812 and birthplace (PA)and occupation though). My father’s mDna is j1c7a if that helps (Elmira Hinkle is his great grandmother), if that helps! but all the other information such as first and middle names and birthdate and place are the same. Go to the Membership Tab and learn how to become a member. Our next Reunion will be held in Staunton, VA as you can also read about on our website. I just sent you a March Newsletter and Reunion sign up sheet for the Staunton Reunion in case you would like to attend. I have used The Henckel Genealogy to look up your family connection to the Henckels. We usually do not do genealogical research for people because it takes so much time to do it right. My last name is spelled a bit differently as Hinkel but I have been told that it was changed from Hinkle only 3 generations back or so. I don’t recognize any of the names on this we site but that can be attributed to my lack of knowledge concerning my ancestry. My name is Roy W Hinkel. My father is Roy R Hinkel and my grandfather is Roy C Hinkel. That is about the extent of my knowledge on the subject. If someone could help me to see how closely related I am if at all to Anthony Jacob It would be greatly appreciated. My grandfather was born in Kansas as far as I know. Thank you in advance for any help. Was Roy C. Hinkel, your grandad, born around Sept. 9, 1900 in Rush County, Kansas, lived in Concordia, Kansas most of his life? Possibly died April 12, 1983 in Dighton, Kansas? Is this possible???? Tell us about yourself. My grandfather is Roy Cooper Hinkel and he is still alive currently living in Dallas Texas. His wife is Elizabeth Hinkel her maiden name is Reed. My mothers name is Teresa Hinkel maiden name Wendell. I was told by my father that our last name was changed when the army misspelled my great grandfathers name and he just kept the new spelling. I was told that is was previously spelled Hinkle. I am working on birth dates and will get back to you on that. Great grandfathers full name and birthday and died on date. Where he died? This would be best information. HINKLE IS MOST PROMINENT SPELLING STARTING AROUND 1760’S. Hi Roy. I am also a descendant of Anthony Jacob Henckel. I saw your email mentioning K.C. and a Reed ancestor. My great grandmother was a Reed from Marion, Ohio in the late 1800’s and I grew up in K.C. I would love to stay in touch with you. My Name is Reva Kaye Jamison Wood of Barnsdall, OK 918-846-2450. Be glad to help anyone on Genealogy. I would appreciate your Help. My name is Frederick R Hinkle (born 1951 Phila) my dad is Frederick G Hinkle (born 1928 NJ) his dad was William Boone Hinkle (born 1890 died 1958 Bridge St. Phila) His dad was William Boone Hinkle (Bridge St.Phila) his Dad ,my GGGranddad was William Boone Hinkle (Born 1830 died 1885 Phila [Germantown]). Can you tell me what my connection is? Thank you!! Do you have any information on an Elizabeth Levering from Philadelphia marrying an Anton Jacob HInkle (Henckel)? I have just ordered the book and hope to get more information there. Thank you. Whoever is looking for Catherine/Katherine Deiter I would suggest looking under the Americanized version Teter. I recall a Catherine Teter somewhere but not the specifics right now. Contact me directly and I can look the information I have up for you. Are you able to give us more information about the 2017 Reunion in Germantown?? We are planning on having our “Cousin Reunion” there for the Hinkle Reunion!! We need info. about hotels and dates!! We do plan in advance in order to take time off and get the “kids” to schedule the time off. 16,17 and 18th of June 2017 would be a good guess! Always middle of June.